Special Note: Fiona Rooted is available in regular colors at a slightly lower price. See its separate listing under Fiona. 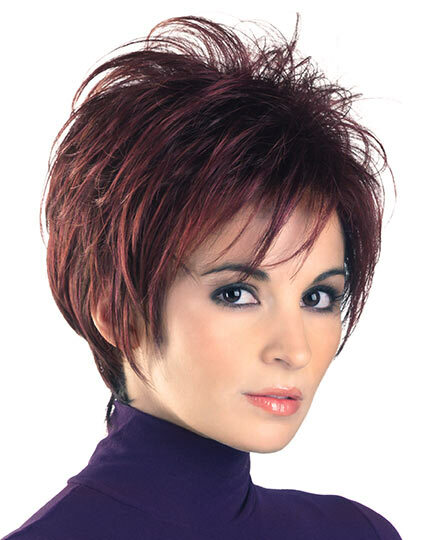 Bangs: 4.5", Nape: 2.5", Sides: 4.0"- 4.5", Crown: 5.5", Overall: 12.0"
Fiona by Tony of Beverly is a trendy, razor-cut pixie cut, long wispy bangs and a perfectly beveled tapered nape. 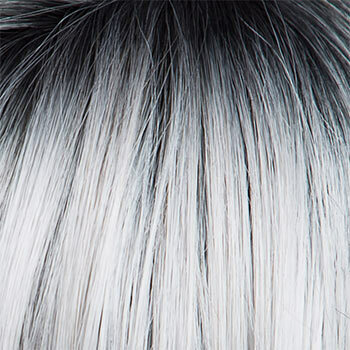 Tony of Beverly Fiona wigs may be styled for a chic spiky or more smooth look. 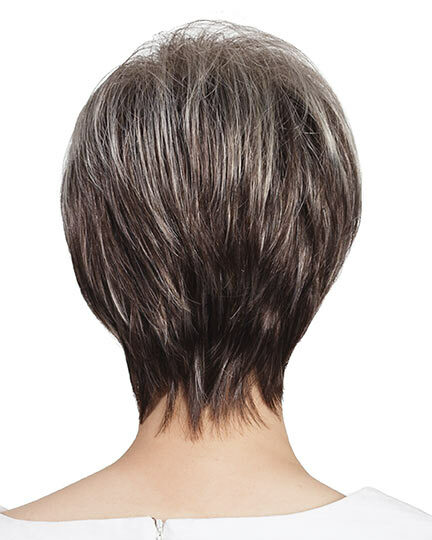 Fiona Rooted has EluraBlend Fiber, Tony of Beverly's base synthetic hair made from an exclusive blend of modacrylic fibers that offer high durability and style memory. The EluraBlend fiber achieves amazing color and tint blends across a wide spectrum. NOTE: Fiona is shown in Plum, a regular color. We do not have an image of Fiona in a rooted color. Tony of Beverly Fiona wigs feature a open cap AirCap construction. 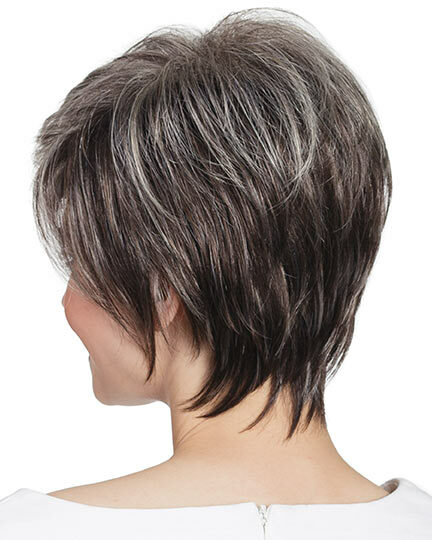 With a lace free crown of individual wefts that are attached to vertical stripes of stretchy nylon, Fiona provides better ventilation and a lighter weight for all day comfort. 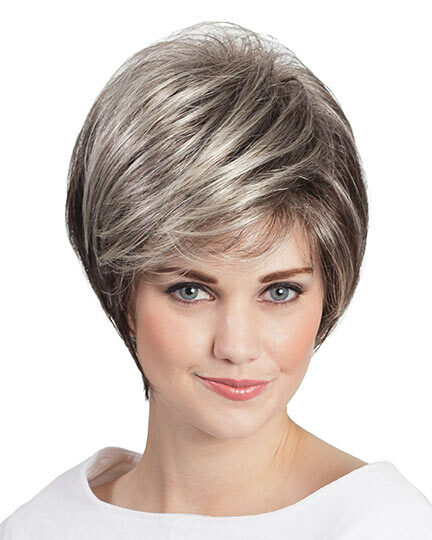 The Fiona wig weighs 60 grams. There are 10 colors available for Fiona Rooted. To Buy Fiona Rooted, Click On A Small Swatch Below. If you would like to discover other products that share some of Fiona Rooted's qualities try the links below. the wig is lovely. just cannot get the color red right. Looks nothing like the picture. Still, I am keeping it b/c it really is nice and fits well. I always prefer e this one. I love it, it's siljye, color is great. Rooted vanilla.. Fit is good. Love it. As always is great. Beautiful color, rooted, gorgeous. 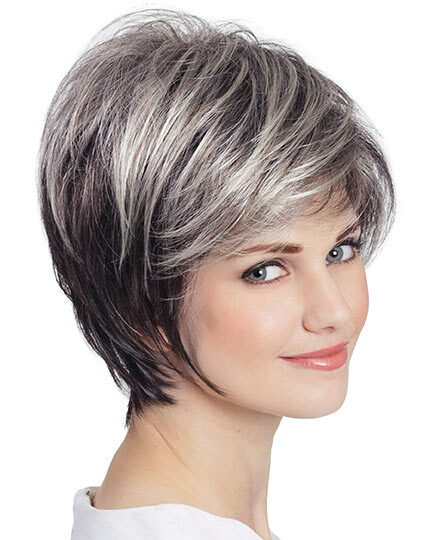 I have ordered this wig several times in the Rooted Blond, it looks and feels so natural. I always have hairdressers compliment me on this style and when I tell them that it's a Wig...they can't believe it! I Love this wig! 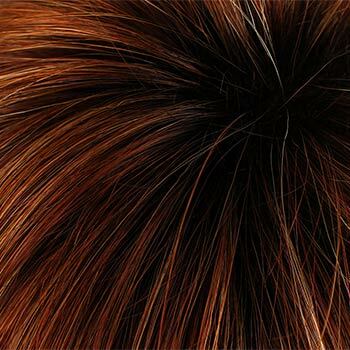 It's a great style and very comfortable to wear, the dark roots make it look so natural.